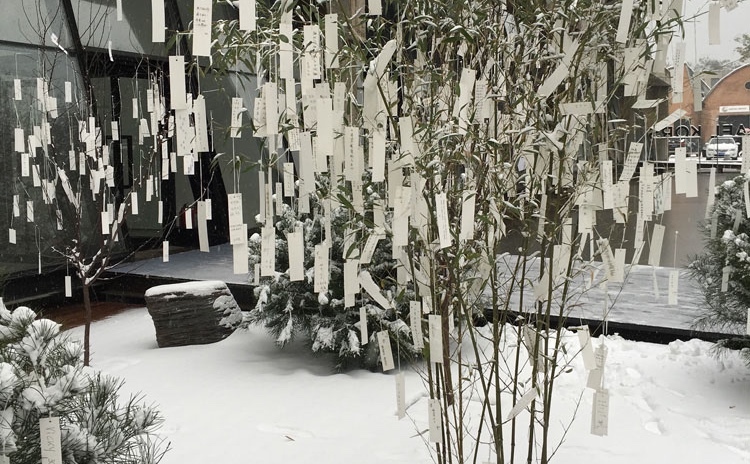 An exhibition by Yoko Ono has opened the new arts building at Leeds Arts University. A selection of her interactive installations – Wish Trees, Mend Piece, Add Color Painting (Refugee Boat), and ARISING – are on display. 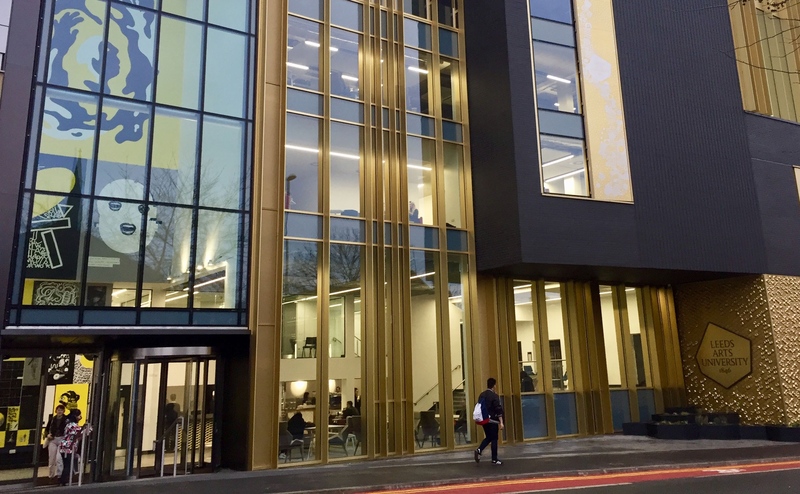 The exhibition is being held in the new Blenheim Walk Gallery, part of a £22m state-of-the-art building expansion which includes a 230-seat performance auditorium, as well as industry standard film and photography studios. The gallery is situated in an open plan atrium, which also includes an independent coffee bar. Sheffield design agency, Peter & Paul, were commissioned by the university to create two bespoke large-scale art pieces for the building interior. The first is situated in the entrance, and features 46 alumni recalling their time at the university. Each individual quote has been turned into a poster, with Peter & Paul working with current University students on the designs. The second spans the length of the photography department, stretching across a wall more than 30 metres long and two storeys high. More abstract in design, the wall shows intertwined arms engaged in creative activity.